The south is such a beautiful part of this country with all its history, pride and glory but what I love the most, is the beauty of the antebellum homes. I hope you will fall in love with these majestic homes as I have. Antebellum homes refer to the large, elegant mansions — usually plantation homes — built in the American South during the 30 years or so before the American Civil War (1861-1865). Antebellum means “before war” in Latin. 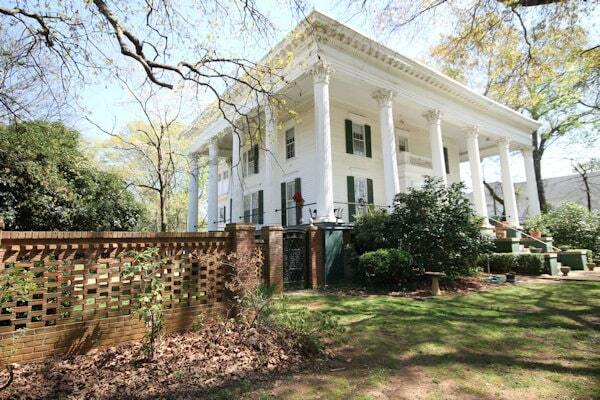 The word “Antebellum” is not a particular style of a house or architecture, but rather its time and place in history. The antebellum architecture was introduced to the American South by Anglo-Americans who moved to the area after 1803 during a wave of European immigration. 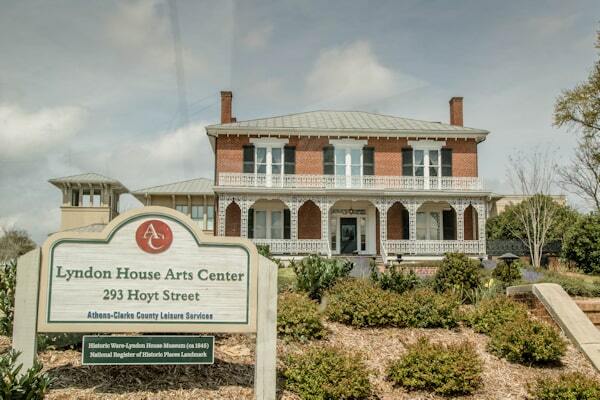 Plantations were started and many styles of antebellum homes were built before the Civil War. 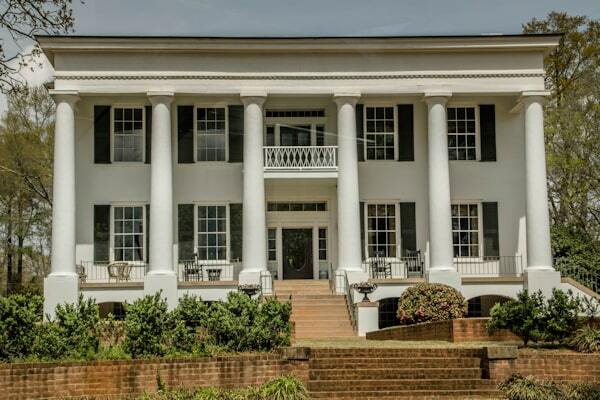 The majority of antebellum homes are in the Greek Revival style of architecture meaning grand, symmetrical, and boxy, with center entrances in the front and back of the home with balconies, and columns or pillars. You can see this same architecture throughout our country in government buildings and courthouses as shown in the picture above. After moving to Georgia, I realized there is a high concentration of antebellum homes and the best way to see them was by traveling the Antebellum Trail. Our first stop on our tour of antebellum homes was Athens, Georgia. It is the home of the first state-chartered college in America, the University of Georgia, and is known for its antebellum architecture and southern culture. 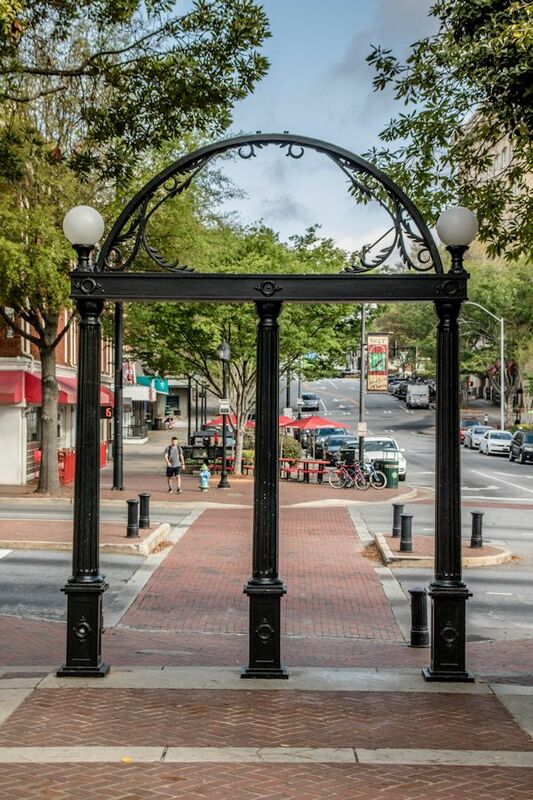 The picture above is of The Arch, on the north side of the UGA campus. Since we wanted to see as much as possible, we took a guided tour given by the Athens Welcome Center. 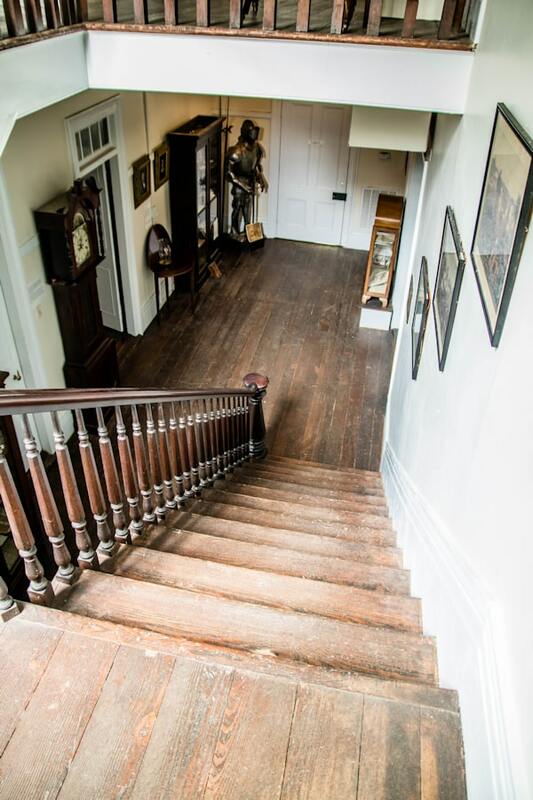 The Welcome Center is inside the c.1820 Church-Waddel-Brumby House Museum, which you tour before you take the bus tour. In addition to local information, they also have informational brochures for the entire State. There are several different tours they offer starting at $15 per person. Oh my was this bus tour so worth it. Our guide is a descendant of one of Athens older families and he really knew the history of Athens. We loved the historical and family stories he shared with us. Mr. G and I were the only ones on the bus, so we really had a great time and was able to ask him lots of questions. It seemed he had a story for every home we passed by. 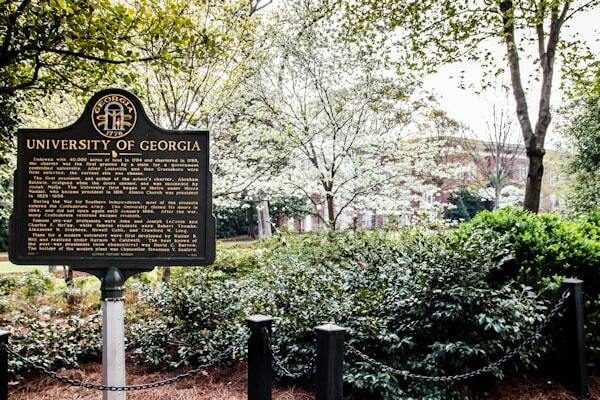 The tour also took us around the University of Georgia, which is such a beautiful campus in the spring with all the dogwoods blooming and where you can see more of the Greek revival style buildings. We also rode around the downtown area and many side roads to see homes you wouldn’t normally see if you were only touring main roads. 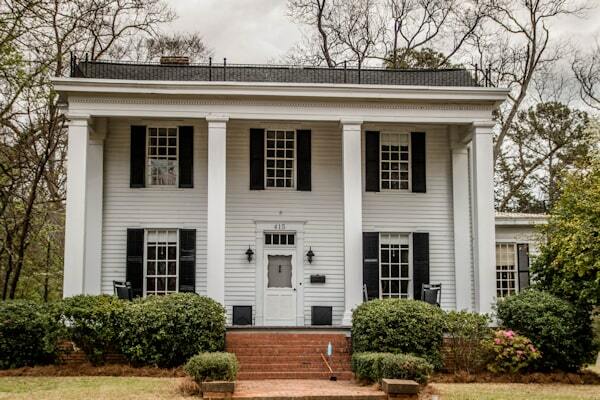 Sadly, many Athens antebellum homes are being forgotten and neglected mainly due to the cost to bring them back to their glory and the upkeep. Many have been torn down and lost forever. 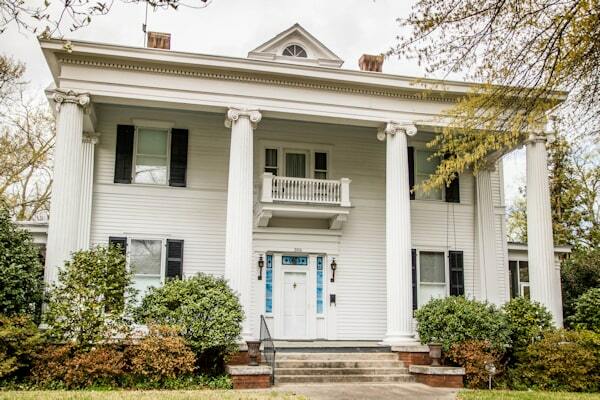 But, some of these regal homes have been purchased and restored by UGA sororities and fraternities in the Milledge Avenue Historic District area. Such a beautiful area for a leisure walk tour. Home of Joseph Henry Lumpkin, Georgia’s First Chief Justice. 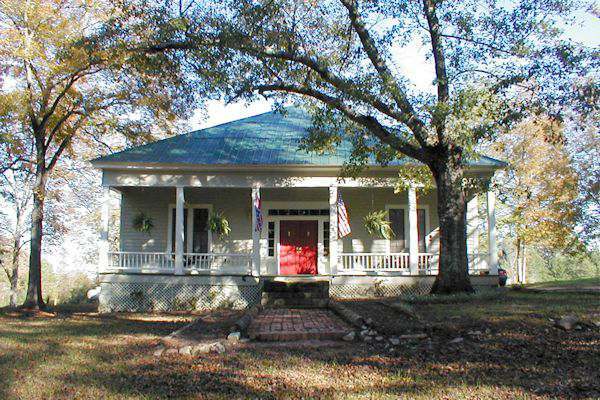 Lumpkin’s beautiful Greek Revival home was built in 1842. After his death in 1867, the house was used by Madam Sophie Sosnowski as her “Home School” for young ladies. It is now the home of the Athens Woman’s Club. My favorite of all the homes. The columns went all around this beautiful homes and the landscaping was done to perfection. I bet there is a lovely garden in the back. I wanted to peek so badly. One of the first homes to use rod iron decorative pieces around their home. My heart just loved this home. It reminded me of a gingerbread house and Snow White would come out and greet us at any moment. We missed the tour of the Taylor-Grady House of newspaper editor Henry W. Grady, credited with establishing the view of the New South after the Civil War. It is now managed by the Junior League of Athens and offers events for meetings, weddings, receptions, and dinners. There are several stories of how some of these homes are haunted. The Athens Welcome Tour hosts the Athens History & Hauntings Tour on Thursdays during October, taking patrons through a tour of historically-documented sites of the paranormal and ending near the Creature Comforts Brewery. 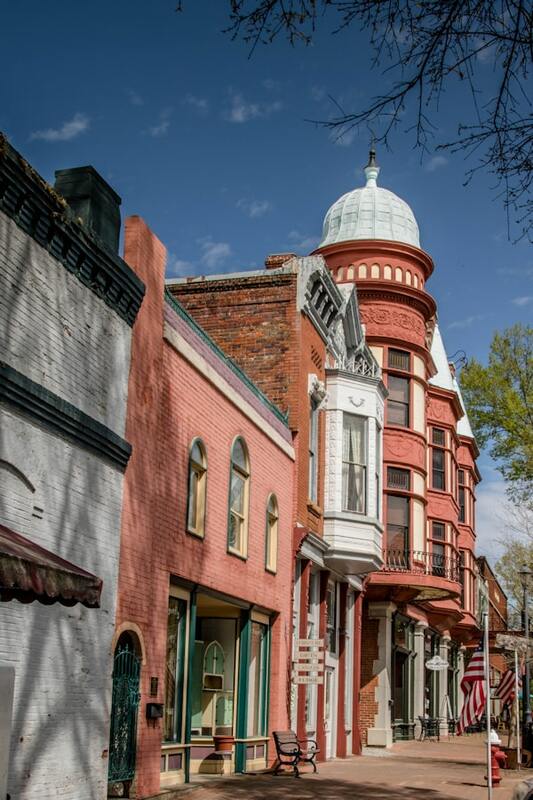 There is so much history in this small quaint charming little town. One of the oldest cities in Georgia which was established in 1780 during the Revolutionary War and was the first chartered town in the New World to bear George Washington’s name. 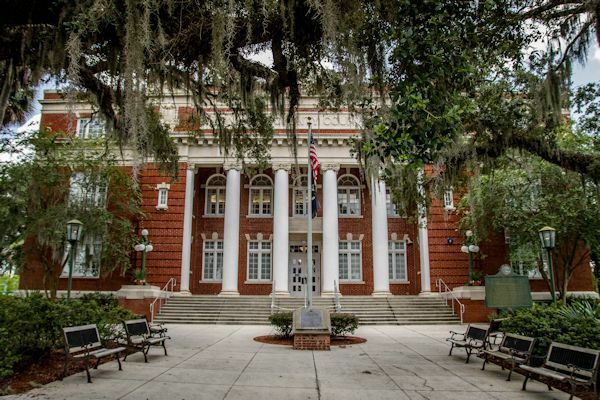 Many political figures lived in the area during that time period and are also known as the place where the Confederacy voted to dissolve itself ending the Civil War. 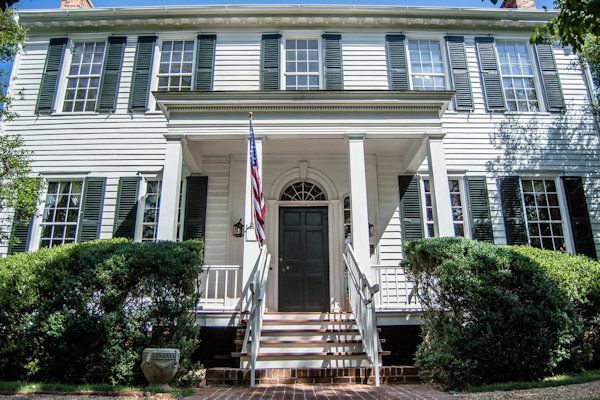 Washington proudly boasts of having the most antebellum homes per capita in the state of Georgia, with more than 100 homes that have maintained their structural and design integrity. Some have been turned into museums and there is also a Tour of Homes at Christmas and springtime. We stopped by the Chamber of Commerce and met a lovely many who told us so much about the town he lived in. He also told us how to take the driving tour using the map he provided us. I loved seeing residents enjoying themselves in the outdoor cafes downtown. 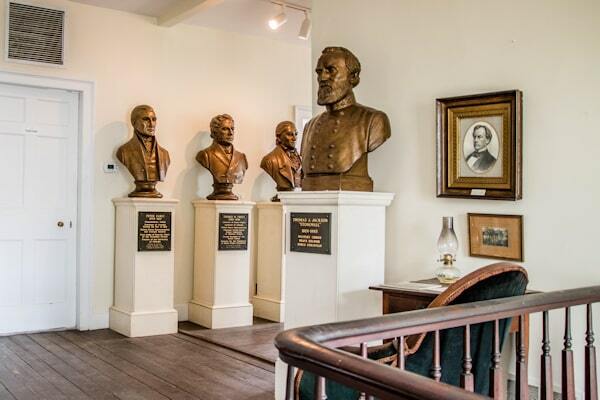 We took the tour of the Washington Historical Museum, the oldest home in Washington which contains a collection of artifacts, memorabilia, and antiques representing more than 200 years of history in Washington & Wilkes County. The City of Washington purchased the home in the 1950’s, refurbished it and opened it up to the public in 1960. You enter the tour in the back of the home through the basement. 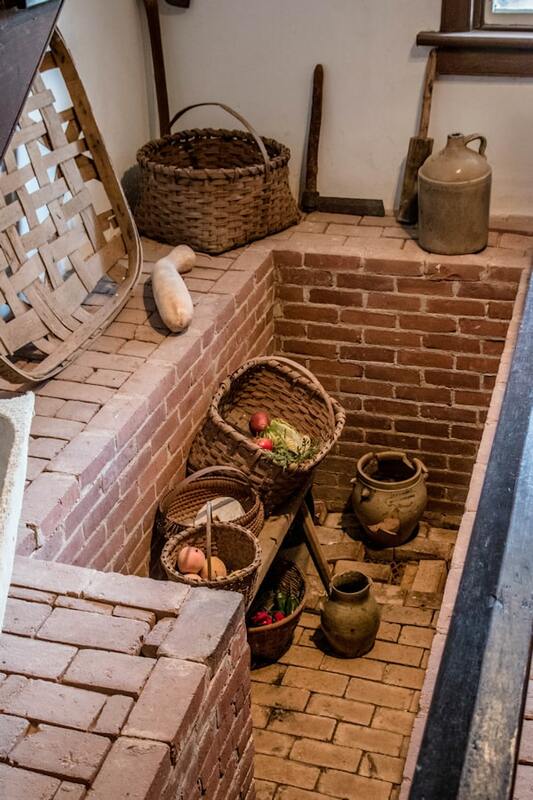 Refrigeration back in the 1800’s in the basement was simply an area dug out where it was cooler. As in most antebellum homes, the rooms are very large with transom windows above the doors to help with ventilation. The china display was beautiful to view. I loved that most of the woodwork was left in its natural state. Beautiful u-shaped staircase. Most floors in these older homes are made from heart-of-pine wood which is easily found in the south. Bedroom with a small child’s bed. There was also an example of a bed dress worn to sleep in. 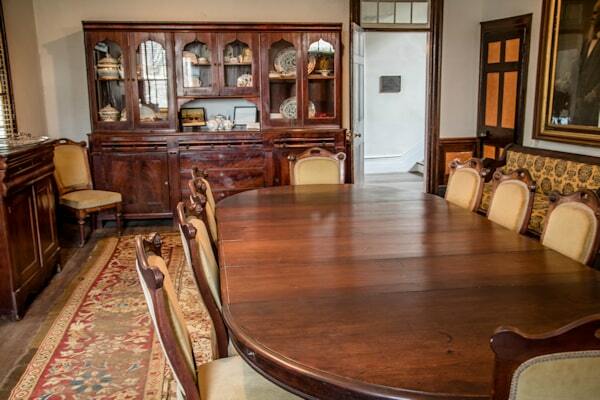 The home was filled with period time furniture with most being donated. And a must accessory back in the day was the spittoon. 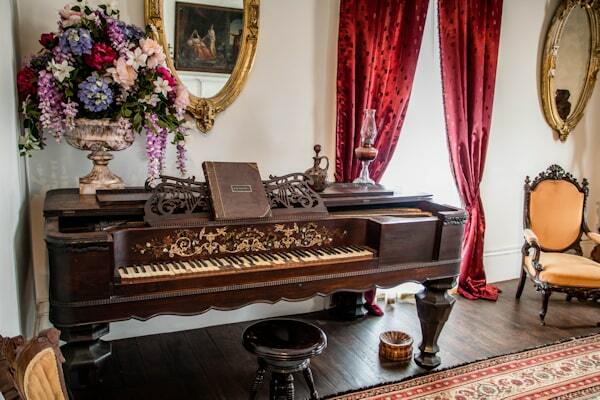 You can see it under the antique piano. 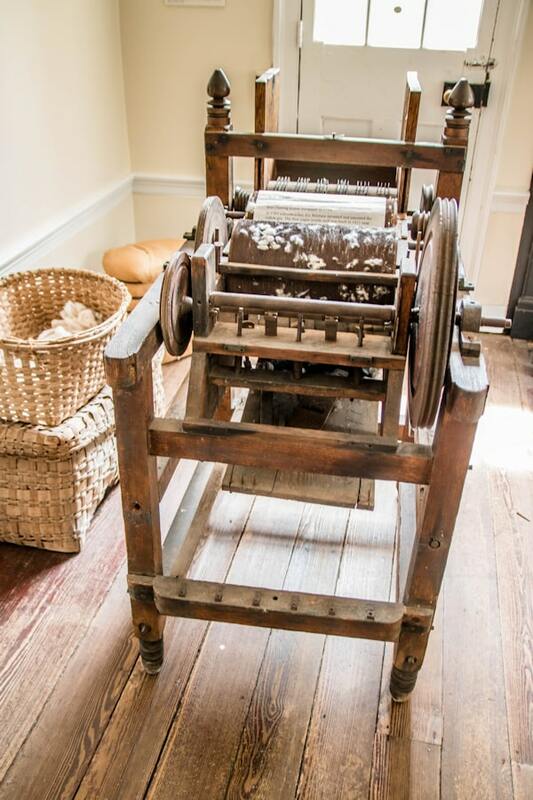 Cotton gin spinner for the home to make your own cloth. Cotton is a huge commodity in the south. I have picked cotton in the past and not one of my favorite things to do. Thomas “Stonewall” Jacksons desk and chair during the Civil War. There is a whole section of this museum dedicated to the Civil War and other 1800’s history with so much memorabilia. Just a few examples of the 100 plus antebellum homes we drove by in this town. As you can see, it seems that white is the chosen color with just a splash of color for the shutters. If you notice, most of these homes sit up off the ground for the purpose of air to flow underneath the home to help keep it cool. 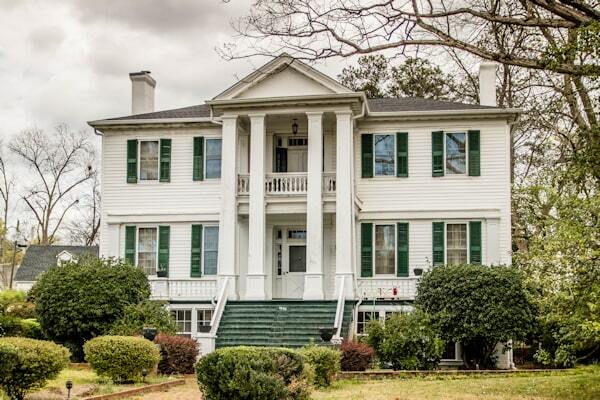 I guess the reason why I love antebellum homes so much is that Mr. G and I use to live in a smaller farm style version of the Greek revival home in Georgia. 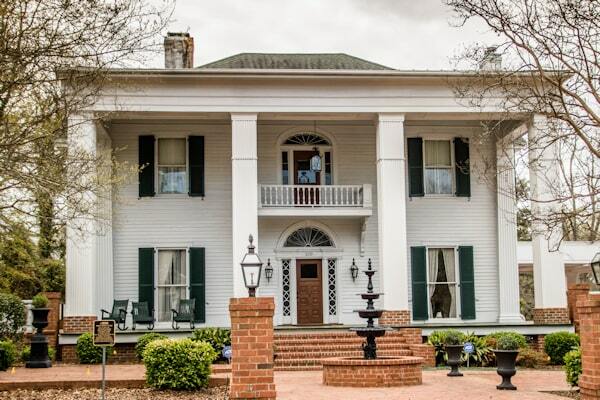 It was built in 1845 by John H. Wallace and then purchased by Dr. P. H. Mithell and his wife, Missouri. Thirty years later it is known as the Wallace-Mitchell-Davis home. The home sat empty for so many years and when Mr. G saw this home, he knew he had to purchase it. He spent many years refurbishing it before we married and then after I moved in, I helped him finish the job. There are 4 main large rooms with a large hallway down the middle or dogtrot and each room has a fireplace. Later a large kitchen was built on the back with a screened in porch and deck. We loved that house. I can’t wait to go back to Georgia to visit more homes from the Antebellum Trail. We went to a plantation when we were in Charleston, SC in July and it was the first time I had seen a home like this. It was very beautiful. My husband and I always go through these types of homes whenever we run across them. We visited some beautiful ones when we were in Tennessee this year. Those houses look so pretty! I love the look of these houses because it just brings history to life a little bit better. I would love to do a tour like this. I like the look of these homes too! They’re so lovely. I would like to go through the ones that are a museum. I’m all about history. Wow what some absolutely stunning buildings. I love how it has almost been stopped in time and you can see it how it would have been once upon a time. These homes are so lovely and hold such history. 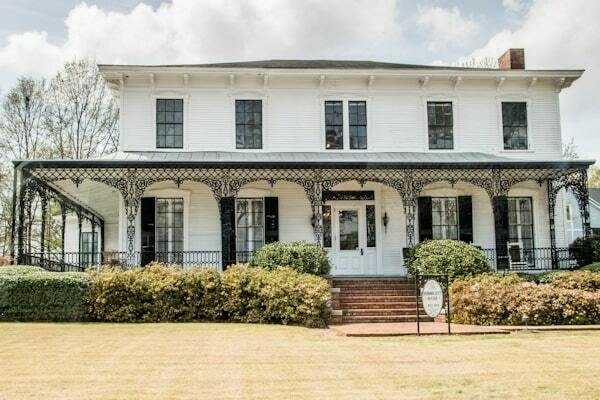 Your photos are just gorgeous and I enjoyed the photo essay of these antebellum homes. One of my friends went to Washington, Georgia a while back and loved it. It’s a beautiful small town. What a fun looking tour! We just love checking out places like this when we are vacationing in an area of the country that has homes like this. Those houses are magnificient. I love big older houses and I would enjoy touring these. Although I wouldn’t really want to live in a house that big now, at least I don’t think. 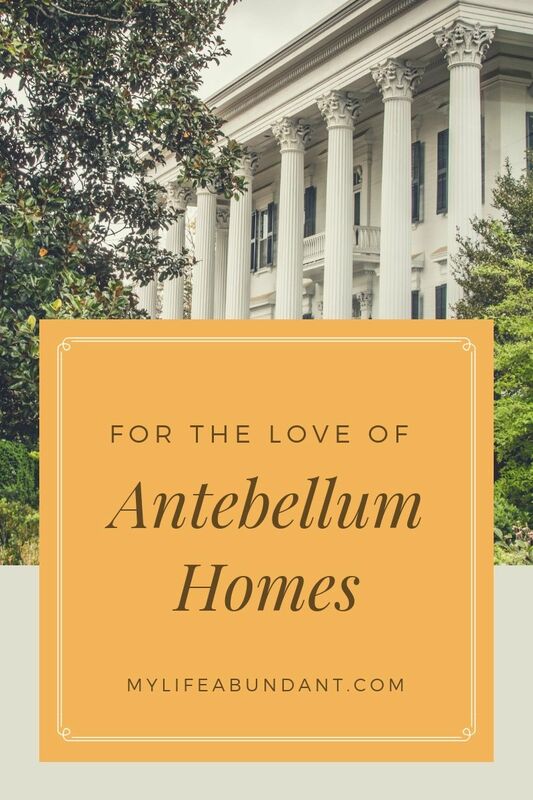 Thank you for sharing these gems and teaching me about what an antebellum home is all about. I love seeing old places like this and getting a view of what it was like to live back then. So fun. What a great tour. These houses are stunning! There is so much history in this town. I could keep reading and looking at pictures! 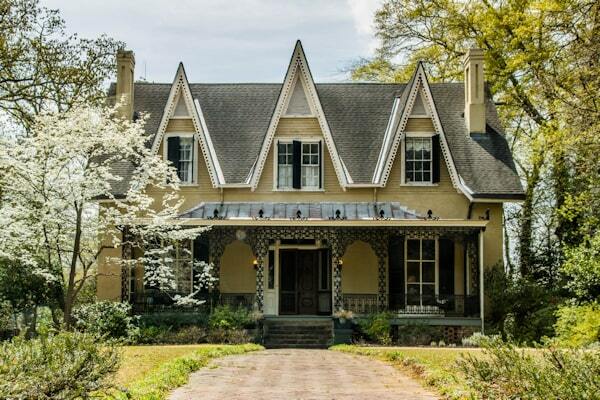 Tammy, I swoon over these historical homes. Georgia is a great place to see them as is Mississippi. Love all the different styles, too. 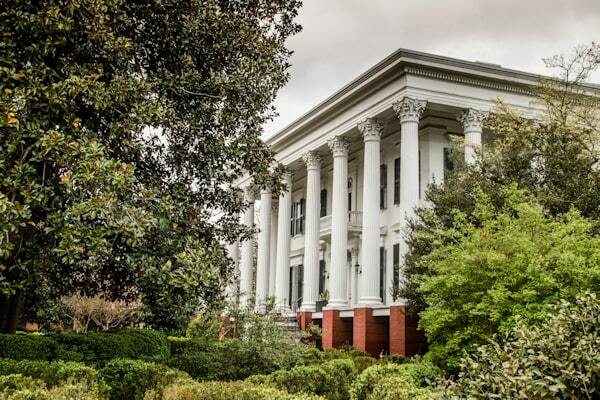 The architecture of Antebellum homes is simply stunning. I had no idea that was the meaning of the word in Latin! 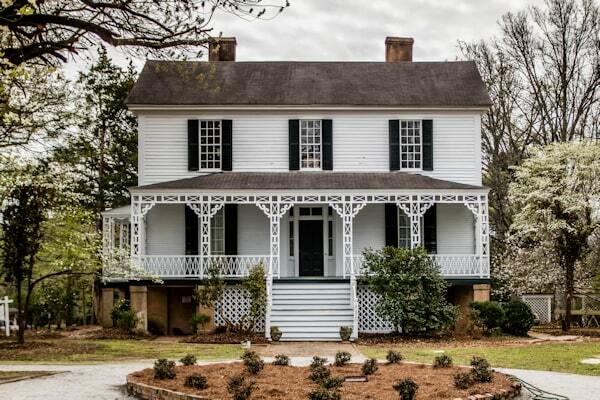 i love, love, LOVE historic homes and antebellum houses are absolutely gorgeous. Love these photos–I want to tour them in person now! 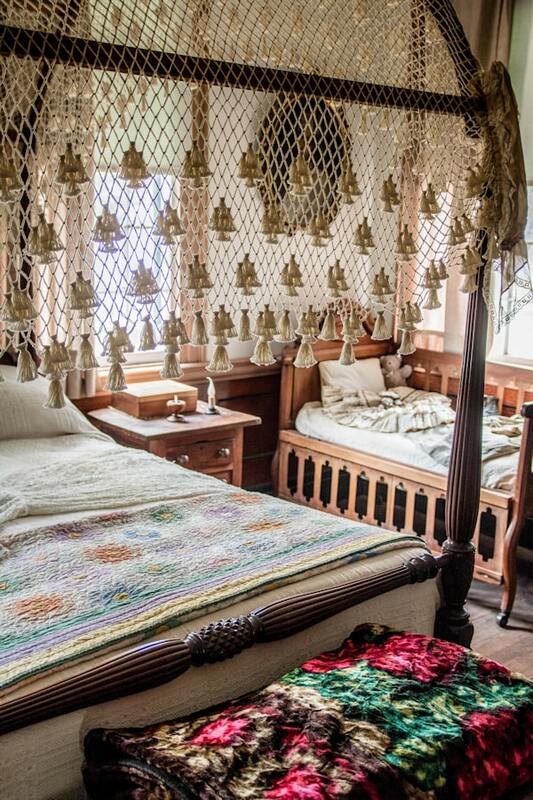 These homes are gorgeous and so full of history. We’ve never done a walking tour of homes of this style but would absolutely love to! 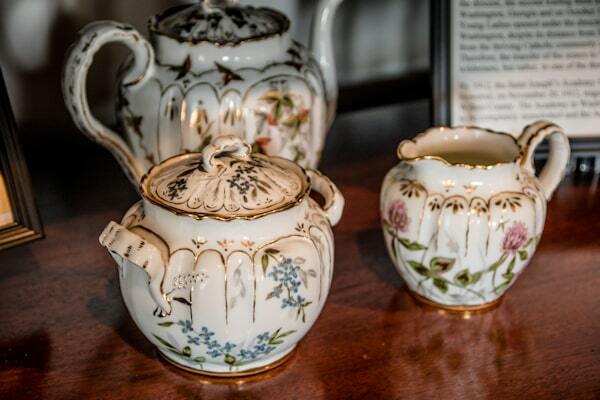 We have visited some plantation style resorts though and that’s always a favorite to learn about the history. Wow – these are some gorgeous homes! I would love to see this in real life! I, too, love these homes and the history, but there is a mistake regarding Thomas “Stonewall” Jackson signing the end of the Civil War. The war ended in 1865 and he had been dead for over 2 years. Did you mean Robert Lee or Jefferson Davis? Thank you, Pat, for pointing that out. I looked back at my notes and had it wrote down wrong. 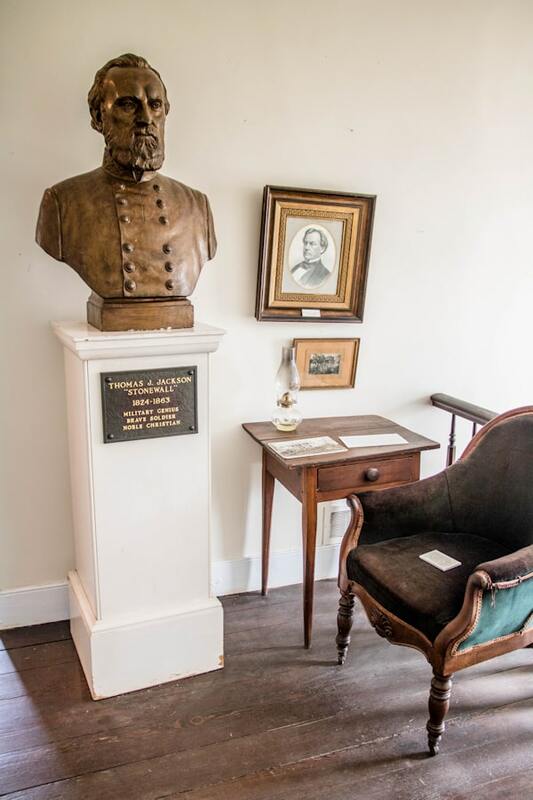 There were several instances with Stonewall Jackson visited Washington, GA and used that desk and chair.